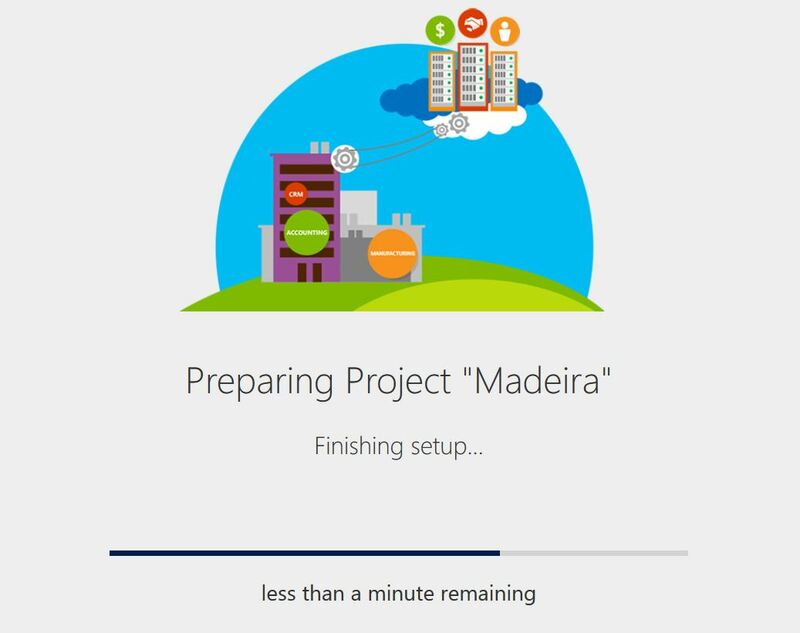 Today we got the first public preview of “Project Madeira” – A cloud based ERP system, highly integrated into the Microsoft Cloud world. 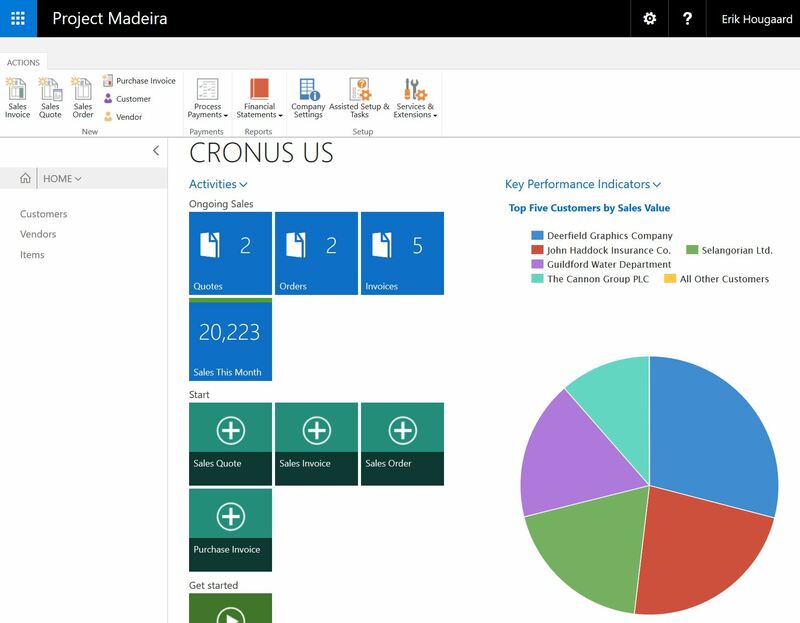 Madeira has it roots in Dynamics NAV, a ERP system with 30+ years of accounting knowledge build in, and with an impressive technology stack. NAV is used by thousands and thousands of companies all over the world, ranging from quite big, to small single person shops. 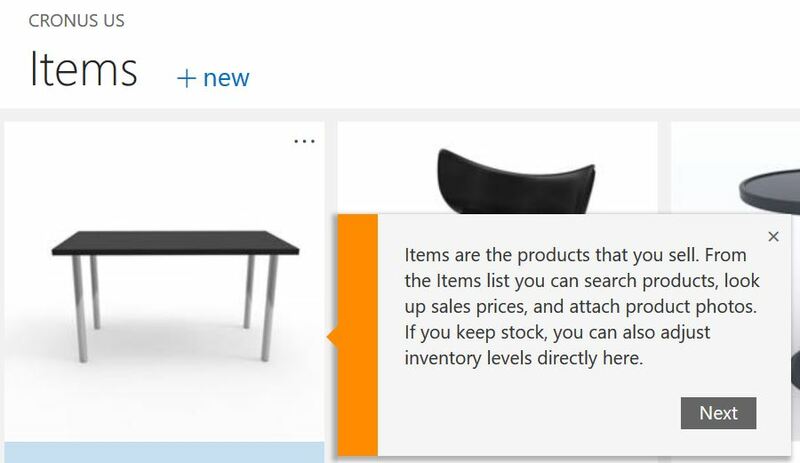 NAV has always be able to detach business logic from technology and this has enabled Microsoft to move the NAV application into the cloud, the result Madeira. This is not quite NAV, but a version of NAV tailored to a “cloud first, mobile first” world. It runs in the browser, and as apps on Windows 10 UWP, iOS and Android phones and tables. Getting started it a normal web signup, and after a few minutes, the complete system is provisioned and ready to go. Compared to standard NAV, Madeira has received a very nice, and very sleek onboarding experience, that will take you though system and familiarize you with navigation and usage. Apart from the onboarding experience, Maderia will also help you getting the setup done quickly and correct. 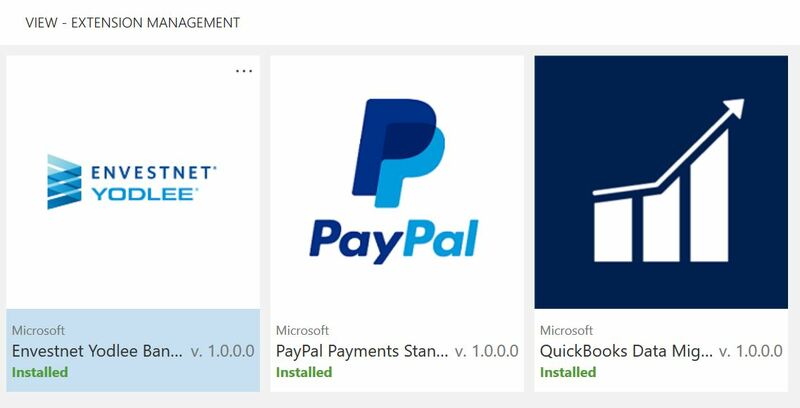 The last one is interesting, since it indicates, that Microsoft knows, that people are coming from other systems, so getting your data into the system is a critical step for success. My guess is that many of the already existing extensions for NAV will either work directly with Madeira or they will very quickly get updated to support Madeira. 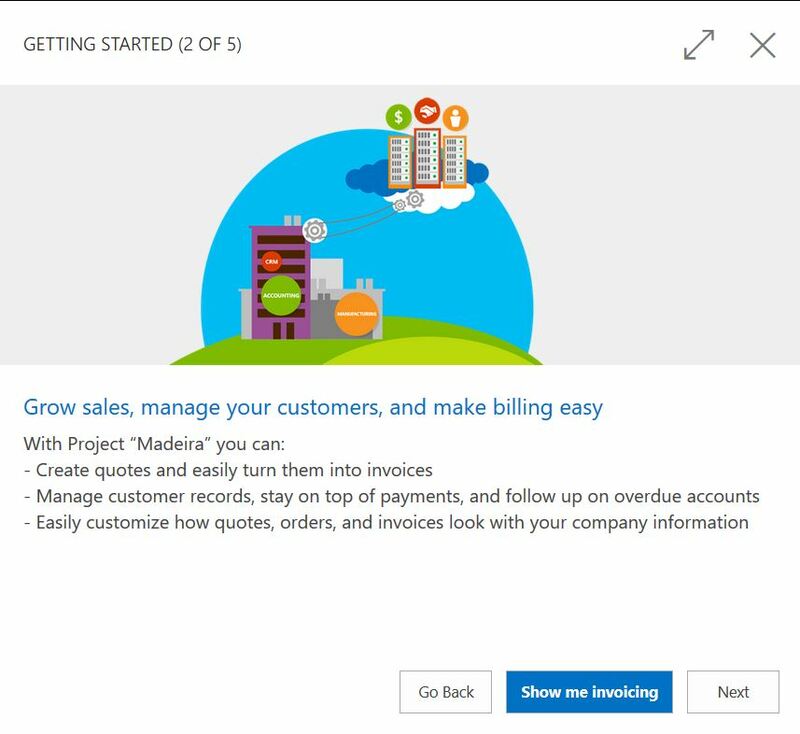 Madeira also have NAV’s ability to be a connected system, going from connecting to the rest of the Microsoft Cloud world to external services like invoice OCR’ing. 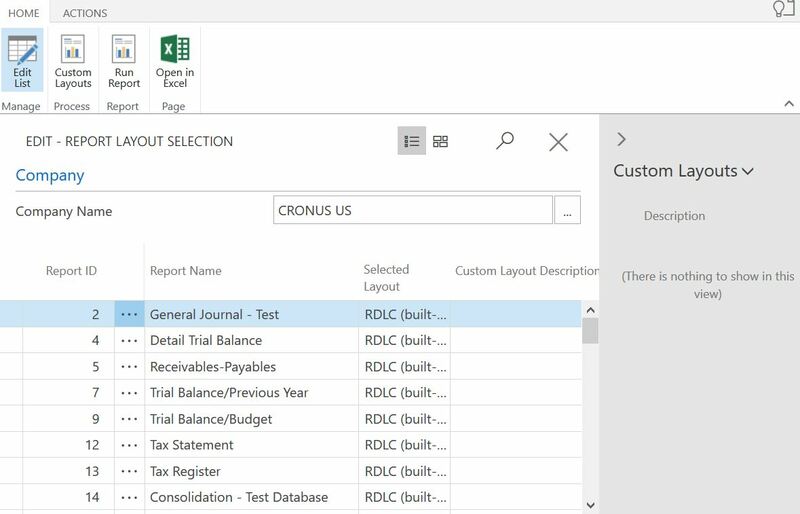 In NAV its possible to use Word to create custom layouts for reports, effectively turning Word into a report designer – You can do the same in Madeira, so you are not “stuck” with the stock design. The great thing about Madeira, is that you get a mature, deep and complete ERP system. This is new, but still a very mature system that will get things done, the right way. I’m looking forward to play some more with Madeira, catch me on twitter @eHougaard if you got any questions on Madeira or NAV. What is a Project Madeira Account?